To receive your free 3M branded webcam cover, simply complete the form below. Screens are capable of displaying private information virtually anywhere, which makes visual privacy an issue every organisation must consider. 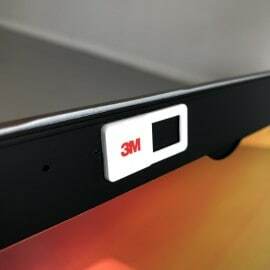 Unfortunately, no further orders can be accepted for the 3M branded Webcam Covers as the program order limit has been reached. Thank you for your continuing support of 3M brand privacy filter products.